The site will come up exactly as it was (unless we alert you to something specific like the Habitarium or Petpet Park). All of the prize shops currently available will return. Did anyone there think that it might be just a wee bit insensitive to release a bomb item on September 11th? I'm just saying. Please remove my username. Our. Bad. Sorry to anyone who felt offended. We got a request for a Smuggler's Cove item and in turn requested the art for the day when we had the least content scheduled. (This happened to be Sept. 10th in our content calendar, which are the dates that we go by despite the date shown to you guys in New Features.) We tend to forget about the date discrepancy since it's something that only exists on the player side of New Features. We apologise for our unintentional offense. If someone pointing a finger at somebody was enough to get someone else frozen, then all of Neopia would look like Happy Valley. We rely on proof based on the information that we have on an account to determine if they have been up to shenanigans. 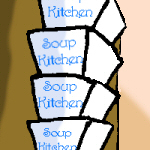 Honestly, the Habitarium was never intended to be a waterfall of Neopoints and it was frequently abused. Although that had nothing to do with it not accompanying us on this transition, we think that -- in the long term -- it will be far better for the Neopian economy. Remember: the fewer Neopoints in the economy, the more that yours are worth. :) Also, content in Neopia comes and goes, so we hope you can find a new method of earning Neopoints that you will enjoy. The Habitarium and Petpet Park will be closing indefinitely. No, we do not want to allow players to "buy" their way through the game. Some minor things we can allow like the Games Fortune Cookie or Faerie Quest Fortune Cookies, and various time-savers, but blatantly buying items is not a road we wish to travel down. It's like Schrodinger's Aisha! Gift bags are very indecisive, so when you open one, it panics and asks the code Myncies, "Augh! What should I give them?!?" The code Myncies then go find the list of the possible items that type of bag can give and roll some dice to figure out which item(s) the bag should give the player. Relieved from having to make such an important decision, the bag opens to reveal the item determined by the code Myncies. Then, you either jump for joy because it's a paint brush or sob because you just stuck your hand into a bag that contains Dung Jelly. Some games can't be transferred over, but we're doing our best to reskin the ones that can and offer them to Neopians to enjoy. Sorry, we don't track that particular piece of information. SO MUCH. VERY WOW. SUCH SASS! 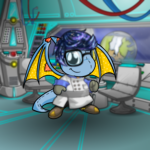 You can use your Petpet Park account to log into Neopets and use it as a side account, or you can choose to leave it completely unused and not worry about it. While, in general, it's never a bad idea to back up your writing or coding, all of your account data will be safe during the transition! The issue would be migrating the app itself, not the player data, so this isn't an option. Don't include the comma. Just type out 2798 -- the same as you would for removing funds from your Shop Till. Your Petpet sounds like it's still in Grave Danger. This player is repeatedly and maliciously being an annoyance to other players. Feel free to report him for harassment so our monitors may look into it. It's just a standard Faellie. Faellies themselves are classified as Faerie Petpets, but there is no Faerie Faellie colour. I was once a beautiful blue Lupe. My MME wig is getting soaked! Remind me why we're here? "Who is this kid?" Lure asked, waving one hand vaguely at Angela.